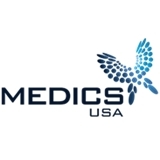 Medics USA (Washington) - Book Appointment Online! Medics USA has primary care and urgent care centers in Washington and northern Virginia (check locations for directions). We also specialize in physical exams, immunizations, travel vaccines, occupational health, drug tests and internal medicine/primary care.